During the Summer we often spend time outside and when we are inside we have windows open, so we can enjoy fresh air. However, once Autumn arrives the inclement weather means that we often spend more time inside. Windows may be closed if it’s cold outside and you may become aware of any musty smells within your home. Musty smells are often associated with mould, which tends to grow in damp conditions. If the smell appears to be coming from an area where there are black spots on the wall, especially on external walls, this may be caused by condensation issues. 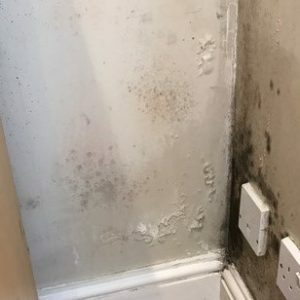 If the walls appear damp at the bottom and there are ‘tide marks’ there is a possibility of rising damp and damp patches appearing on other areas of external walls might be due to penetrating damp. How can you get rid of the unpleasant odours? Although you can try to mask unpleasant odours with air fresheners it won’t get rid of the real problem. 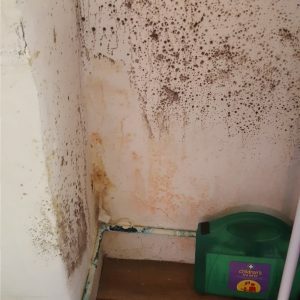 Issues such as rising damp or condensation don’t always occur in isolation, and the first step to getting rid of musty smells is to diagnose the problem correctly. You can contact a reputable specialist who will arrange for a qualified surveyor to come to your property and advise you as to the cause of the issue and what solutions would work for you. Possible solutions for Rising Damp may include the installation of a chemical damp proof course. If an issue is related to Penetrating Damp, the surveyor should be able to see why the issue is occurring and suggest if maintenance work is required. This could include, for example, having faulty guttering replaced. What if the issue is caused by Condensation? If mould is growing as a result of Condensation then the surveyor may recommend extract units to try to remove moisture in the air at source, for example in kitchens and bathrooms where moisture enters the air through cooking or bathing. Another option which is growing in popularity in both new and older properties is the installation of a Positive Input Ventilation (PIV) unit. PIV units filter fresh air into properties without windows having to remain open, as well as removing moisture laden air. This continuous process of displacement means that musty smells are removed and condensation doesn’t have the necessary moisture to grow.